Following the heavy floods in parts of Bengaluru last monsoon, the Bruhat Bengaluru Mahanagara Palike (BBMP) took up the task of stormwater drain (SWD) encroachment clearance drive in August, 2016. It has been a year – the drive started in all earnestness but soon got stuck, because of interventions by affected parties and courts. Of course the system was designed to aid all these interventions. To identify encroachments, BBMP used 50-year-old village maps, as there were no new authentic surveys done in last five decades.But while sanctioning the building plans near stormwater drains, BBMP never had the habit of checking any village maps or master plans. This put the onus of aiding irregularities on BBMP itself. This also gave an easy escape route for encroachers. BBMP, BDA contributed to drain encroachment mess in their own way adding to the confusion. 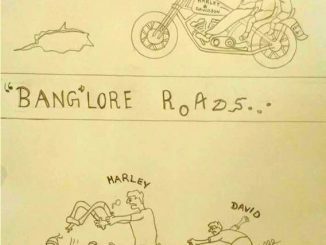 Stormwater drain saga in Bengaluru is long and eventful. There have been many efforts to remodel storm water drains in the past, and the money has just gone down the drain. The most important of all is the siphoning off the JnNURM funds in the name of stormwater drain remodeling, for other works. Storm water drains leading to the Koramangala-Challaghatta, Vrushabhavathi and Hebbal Valley received JNNURM funds for remodeling and revival. But the money was diverted for works such as renovating the office of the Chief Engineer – SWD. This article on Deccan Herald explains the details. Comptroller and Auditor General of India (CAG) in the audit report released in June 2013, pointed out the irregularity. These drains are connected to the four valleys of Bengaluru namely, Challaghatta, Hebbal, Koramangala and Vrushabhavathi. The BBMP will construct 192 km of concrete drains at a cost of Rs 800 crore. Under the project, RCC box drain, RCC ‘U’-shaped retaining wall and 19 RCC culverts will be constructed. Thus the government intended to remodel the drains for which JnNURM funds were sought earlier but diverted elsewhere. The tendering process saw its own scams, with people not qualified to bid submitting forged certificates and winning the tender, and finally being caught. 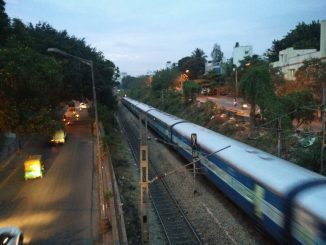 The tender was cancelled and BBMP called for fresh tenders in August 2017. This year again the city witnessed floods, though comparatively less in magnitude. 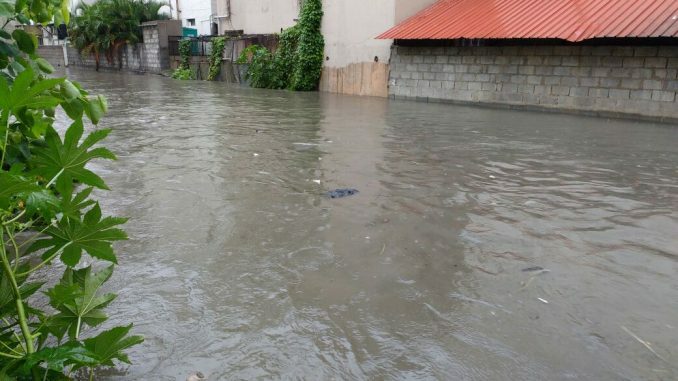 Localities like Madiwala and Kodichikkanahalli, that were flooded last year and SWD encroachment was cleared, did not report flooding during the recent rains. But the encroachments too have not been fully cleared. According to the data available at the office of the SWD, of the total 1,953 SWD encroachments identified in BBMP limits, 1,225 encroachments have been cleared and 728 are pending for clearance. Shivaprasad, Technical Assistant at the SWD section attributes the delay in demolition and clearance on the lack of availability of surveyors. “When we were in the process of surveying and clearing the encroachments, we faced the problem of shortage of surveyors. The office of the Joint Director of Land Records (JDLR) withdrew their services. But with the recent announcements made by the BBMP of restarting the encroachment clearance, we are hopeful that JDLR will depute surveyors for the purpose. And soon we can resume the encroachment clearance drive,” he says. Then what happened to the 800 crore project to revive the SWDs? 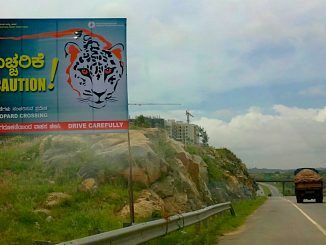 Will the SWDs in Bengaluru ever see a makeover? Officials say that a total of 408 works are taken up under Rs 800 crore project. It apparently took seven-eight months for the BBMP to get the Detailed Project Report (DPR) ready and then call for tender and finally give the work order in last March/April. They claim that the work of reconstructing and laying SWDs is under progress. Going by the figures that the BBMP shares, 369 works are taken up in six packages at a project cost of Rs 671 crore. “Work has started in all packages except package 2. The remaining package too has been finalised and the work order will be given soon,” according to Shivaprasad. Another Rs 26.4 crore will be spent on maintenance work of existing SWDs. Some 30 works which were sanctioned in the past did not see the light of the day apparently due to lack of funds. These works too are expected to be completed using the remaining amount in Rs 800 crore. Shivaprasad says 40 percent of the total 408 works have commenced and the remaining works too are expected to commence soon. The information related to all the works are available here. According to the BBMP, the works are likely to be completed by December 2018 as that is the deadline set for the contractors. But will the works actually complete on time and will the storm water drain system in Bengaluru get a facelift? One has to wait and see. Why should roads be relics of past, while we race towards future? The abysmal condition of the roads deteriorates with every shower and another layer of asphalt is washed away. It leaves a gaping gap that we optimistically call a pothole.